We need your help. In December of last year, we began the exciting process of working with Rainer Publishing to write a book on preaching. And not just any book on preaching. We didn’t want to write one like the ones you may have read in Seminary that were highly theological in nature, but one that is extremely practical, one that features real tips and real strategies that you can implement right away. There’s certainly nothing wrong with those preaching books. We’ve both been blessed by reading them. But we wanted to create something different. 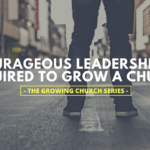 We set out to write a book that seasoned preachers, lay leaders, and young pastors who haven’t preached at all could read and glean things that would help them prepare, write, and deliver memorable sermons. And we’re happy to say that we believe we did just that. But as we said at the outset, we need your help. 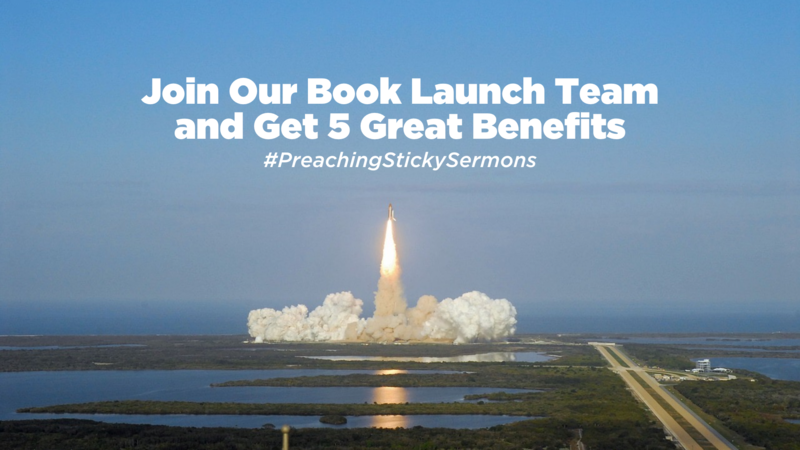 Our book, Preaching Sticky Sermons won’t be a success if pastors and lay leaders don’t get their hands on it. And with any message, it takes a tribe to get the word out. This is where you come in. But before we get to what we’re asking of you, let’s go over what we want to give you for being a part of the launch team. A free electronic copy of the book before the publish date. A first look at additional bonus resources we create to promote the book launch. Exclusive access to a private Facebook group where we’ll share promotion ideas. The opportunity to interact with other launch team members and see the behind-the-scenes of a book launch. 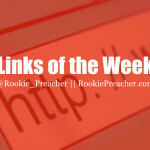 A special mention on our blog with a link to your personal website, church website, or both. Write a brief, honest book review on Amazon. Help spread the word about the book in any way you can, to your existing platform and beyond, during launch week. From mentoring young pastors to sharpening your own preaching skills, we believe this book is going to be a great resource! So, will you help us get the word out? Thank you for your interest, but the sign-up period is now over. There’s still ways you can help, though. Once the book is launched, you can help us spread the word. If you subscribe to the Rookie Preacher Community, you’ll be one of the first to know when the book is available.